With pregnancy comes stretch marks. Luckily, there are ways that you can minimize or prevent stretch marks from happening (or help fade them if you do get them). The scientific term for stretch marks is “stria”. They are long, thin marks or lines that occur on your skin after rapid stretching. These stretch marks can be different colors like red, purple, white, light blue, and silver. Most pregnant women will get stretch marks during the third trimester. The most common places that you can find stretch marks are on the hips, breasts, thighs, buttocks, and arms. You are at greater risk of developing stretch marks if you are female, have recently gained or lost weight, or are obese. Stretch marks happen when your skin stretches quickly. During pregnancy, as the skin around your tummy expands, it causes these marks or striations. A lack of collagen in your skin will also increase the risk of stretch marks. Cortisone or cortisol is an adrenal hormone that is released during pregnancy which can weaken skin’s elasticity and contribute to stretch marks. Other reasons why stretch marks occur aside from pregnancy can be due to rapid weight gain and breast implants. Creams and lotions that contain vitamin E have been known to reduce scarring and lessen the appearance of stretch marks. This is used topically but shouldn’t be used during pregnancy. Products containing retinoids are also used to treat wrinkles, acne, and scarring. It is safe to use retinoids after pregnancy on your stretch marks. Performed in salons or dermatological clinics, laser therapy can help to reduce scarring but are often pricey. As time goes by, most stretch marks will fade or lighten until they won’t be as noticeable. Manage Weight Gain – While it is normal to gain some weight during pregnancy (on average 25-35 lbs depending on your pre-pregnancy weight), avoid excessive weight gain since this can cause stretch marks. Stay hydrated to keep your skin healthy and reduce the risk for stretch marks. Exercise can help get your blood flow going and this circulation can increase skin elasticity and prevent stretch marks. Incorporate nutrients into your diet like vitamin E, C, zinc, protein, and omega 3 fatty acids, which help create collagen that is good for your skin’s elasticity. Examples of these foods include oranges, eggs, tomatoes, avocados, legumes, fruits, and vegetables. Use topical products (creams, oils, lotions) to keep your skin healthy. Vitamin E is an effective ingredient found in most of these stretch mark creams. If your skin is properly nourished during your pregnancy, you may prevent stretch marks from appearing. You can ask your doctor for a pregnancy safe stretch mark cream to be used on your bump to help reduce the risk of stretch marks appearing. If you do get stretch marks after pregnancy, you can apply stretch mark creams containing vitamin E or vitamin A in order to diminish the visibility. (Remember to not use stretch mark creams with vitamin A during pregnancy). By applying stretch mark creams regularly, your skin will have a more plump appearance and can help fade those lines out. It is more affordable than laser treatments so by applying stretch mark creams during pregnancy, you can lessen the risk of stretch marks appearing and you wouldn’t have to spend a lot in the long run for expensive treatments to get rid of them. If you don’t treat stretch marks, it can lead to scarring and can appear red. 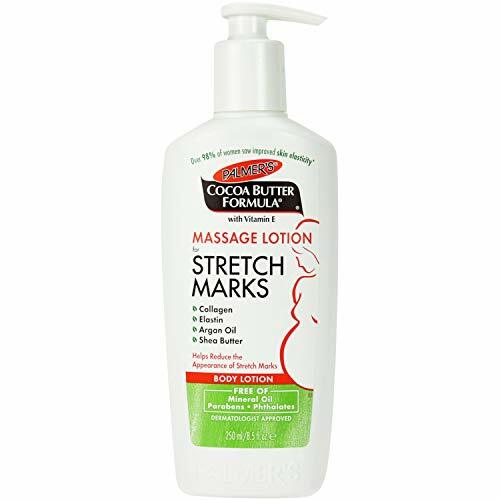 Stretch mark creams can help in preventing further damage and tearing on your skin. If your skin is not moisturized, stretch marks can appear worse and can also lead to itchiness and increased dryness. if you are using a stretch mark cream during pregnancy, it is best to avoid those with any retinol or vitamin A in it. Go for those with ingredients that are non-toxic and without any synthetic fragrances, parabens, and petroleum products. During pregnancy, you may be sensitive to different ingredients so it’s best to always test the product on a small patch before applying it all over. It is best that the cream you apply will be absorbed into the skin smoothly and quickly. Ideally, it shouldn’t leave any sticky or greasy feeling/residue. Especially during pregnancy, strong scents could be off-putting to some women and so it’s recommended to get a stretch mark cream that doesn’t have such a strong scent. Depending on your budget, there are different price ranges for various stretch mark creams in the market. Prices could range from 7 dollars to 40 dollars. Pick a stretch mark cream that will provide you with the most benefits like minimizing stretch marks, fade stretch marks, and provide relief from itchiness and dryness. Choosing the best stretch mark creams for pregnancy can feel daunting, so I’ve narrowed it down to my top eight picks! It contains vitamin E, collagen and elastic ingredients to help combat stretch marks and strengthen your skin. It’s a thick cream that contains shea butter and cocoa extracts. It’s also highly recommended by over 1,000 moms on Amazon. 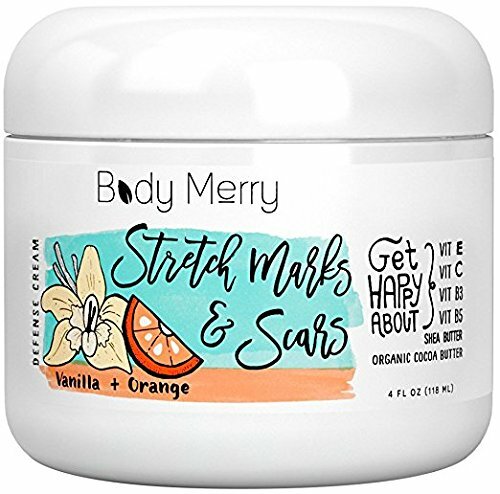 This is one of the most popular brands of stretch mark cream and many moms vote that it is one of the best stretch mark creams for pregnancy due to its effectiveness and affordability. Pregnancy and nursing friendly, you can be assured that it is safe to use. It is free of parabens, phthalates, mineral oil, sodium lauryl sulfate, caffeine, or artificial colors. It has also been tested to be zero sensitive, meaning that it won’t cause any irritations or allergic reactions. It is vegan-friendly as well. It contains shea butter that can penetrate deep into the skin but also feels lightweight. It moisturizes the skin and prevents visible scarring. There is a light fragrance that you may notice. 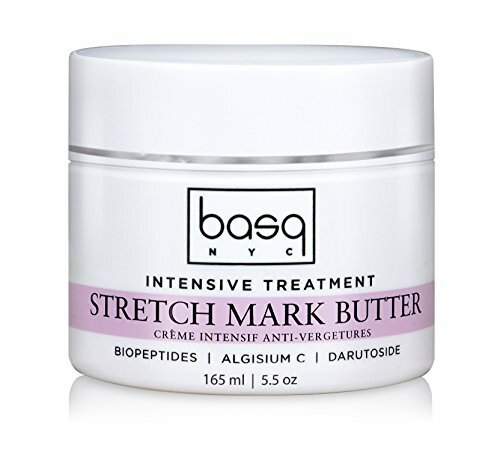 Click here to check out Basq Stretch Mark Butter. 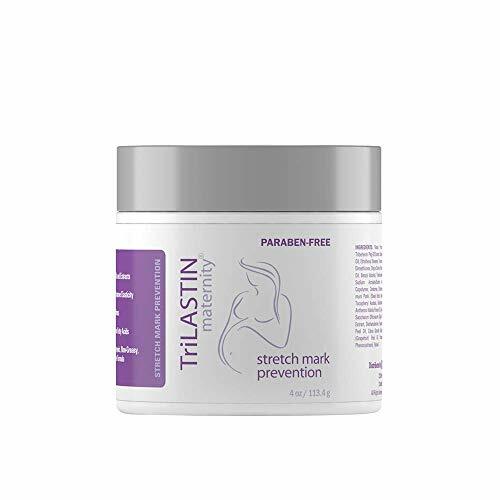 MADE IN THE USA - Brought to you by TriLASTIN, this effective stretch mark prevention cream is made in the USA by a team of award-winning scientists and crafted to reveal your true inner beauty. This stretch mark cream is great to use to prevent stretch marks to occur during pregnancy. It is pH balanced and contains 15 botanical oils to keep your skin healthy. It also has antioxidants and fatty acids to help with collagen development. It is also hypoallergenic and paraben free. Apart from hydrating and soothing your skin, it can also relieve any itching or dryness. It also doesn’t have a greasy formula. PROVEN RESULTS-Our Stretch Mark Cream reduces and prevents stretch marks and scars. This cream for stretch marks delivers intense hydration and better results after 2 months of use. Best scar cream, best stretch mark removal cream. ANTI STRETCH MARK CREAM FOR PREGNANCY-Our Anti Stretch Mark Cream is designed to be perfectly safe for recent and expecting mom. "belly butter for pregnancy, stretch mark cream removal"
STRETCH MARK REMOVAL CREAM-It is great for those who have experienced dramatic changes in weight. Prevent stretch marks during pregnancy, the best treatment for stretch marks. 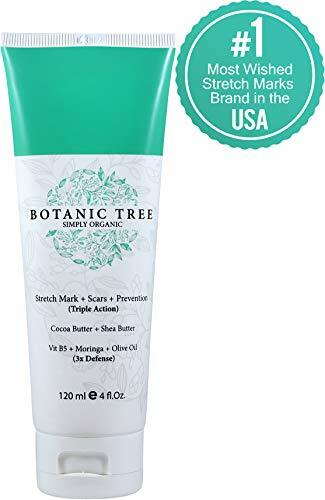 COCOA BUTTER STRETCH MARK-Our anti-stretch mark contains Centella Asiatica, and it is proved that develops 34% less stretch mark than who uses stretch mark oil. Fading cream,cocoa butter lotion. LOTION FOR STRETCH MARKS-Made in USA-100% Organic Extracts-Satisfaction Guarantee- Works or your money back. Bio oil stretch marks pregnancy, cream for stretch marks,scar removal cream. A natural alternative to Mederma and Body Merry Cream. As your tummy is growing during pregnancy, you can use this cream as well as after you have given birth. This means it can prevent stretch marks as well as treat them if ever you do get some. It can even help with existing stretch marks. It contains shea and cocoa butters, olive oil, avocado, vitamin B5, and Centella Asiatica. It also contains 100% organic ingredients and is free of parabens. Made with COCOA BUTTER to naturally moisturize, VITAMIN E and our unique CETESOMATE-E COMPLEX to improve skin imperfections, SESAME OIL for deep hydration, ROSEHIP OIL for essential fatty acids to promote healthy skin cell rejuvenation, and ARGAN OIL to soften and condition skin. Free of mineral-oil, parabens, phthalates. Unlike creams or lotions, oils don’t need a lot of artificial ingredients and preservatives. This brand also doesn’t contain retinol or vitamin A, which is always a good thing if you are pregnant. Aside from being lightweight, it doesn’t contain mineral oil meaning it isn’t greasy and won’t clog your pores. It contains vitamin E which helps heal scars. 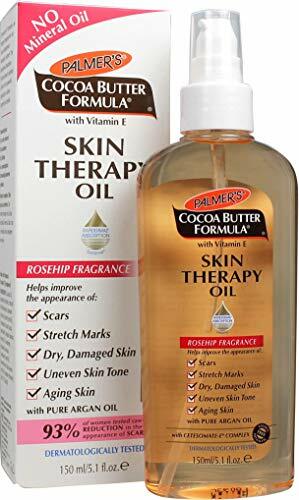 Check out Palmer’s Skin Therapy Oil here. 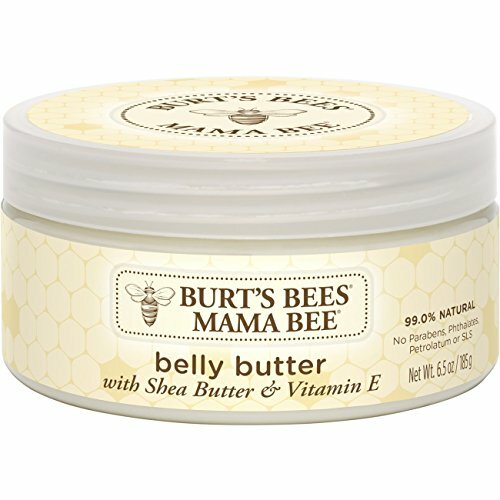 BELLY BUTTER WITH SHEA BUTTER: Designed for mamas, nourish your belly before and after pregnancy with this rich, moisturizing Burt's Bees Belly Butter. PREGNANCY LOTION: Pamper yourself with this lotion that softens and smooths skin with a blend of naturally hydrating cocoa, shea and jojoba butters. UNSCENTED LOTION: This fragrance free belly butter gently and safely moisturizes as your belly and skin stretch during pregnancy. RECOVERY BODY BUTTER: Help your skin recover after pregnancy with this 99% natural belly butter that provides relief and comfort to stretched skin. NATURAL SKIN CARE: This lotion for moms to be is non-irritating and 99% natural formulated without phthalates, parabens, petrolatum, or SLS. It contains vitamin E, shea and jojoba butter, that is great at preventing stretch marks, moisturizing the skin, and lightening existing stretch marks. It can easily be absorbed and can be used on sensitive skin. It can also help with itching and pains that come with extreme stretching during pregnancy. It also has 99% natural ingredients. Check out Burt’s Bees Belly Butter here. REDUCE AND PREVENT STRETCH MARKS & SCARS: Our body butter helps to reduce and prevent the appearance of scars & stretch marks by firming and moisturizing your skin with a customized blend of high quality and natural ingredients. This lotion was formulated to deliver intense hydration and provide protection to help smooth rough skin & marks, and provide your skin with relief. This is the Vanilla and Orange scented version of our popular original blend. PACKED IN AN AMPLE 4 oz JAR: Just a little bit goes a long way with this creamy butter, but don't let the rich texture fool you, this creme spreads quickly and easily, absorbing in seconds! Massage this onto potential problem areas like your stomach or thighs, preferably twice a day: morning & night. Whether you're looking for a lotion to keep your skin looking smooth for prenatal / maternity care, or just living your life, our formula protects against rough skin, marks, and blemishes. POWERED WITH VITAMINS & ANTIOXIDANTS: Our body butter is powered by natural ingredients like Vitamins E, C, B3 + B5, as well as plant stem cells, seaweed, & rich oils. All of them work towards the same goal: tightening / lightening the appearance of dark spots and stretch marks while delivering maximum care & nutrients. With a delicate, light scent of vanilla and orange, pamper and protect your skin. Get happy about your skin now! 90-DAY MANUFACTURER GUARANTEE: We love our products and we hope you do too! All of our products are lovingly manufactured in the USA and if you ever have any questions or if you're not satisfied with your purchase, just drop us a line and we'll see what we can do to help you Get Happy with your skin - this product is also Vegan Friendly! It’s great to use to prevent stretch marks and contains high-quality ingredients to provide that moisture and protection for your skin. The cream can be easily spread and absorbed into the skin. It also contains a lot of antioxidants, vitamin E, C, B3, B5, and rich oils. Check out Body Merry Cream here. Apart from providing that much-needed hydration, this butter also helps your skin’s elasticity while it is being stretched, so that stretch marks are prevented. It contains shea butter, organic oils, coconut oil, avocado oil, with no harmful ingredients like parabens, petroleum, colorants, etc. It is safe to use during and after pregnancy. 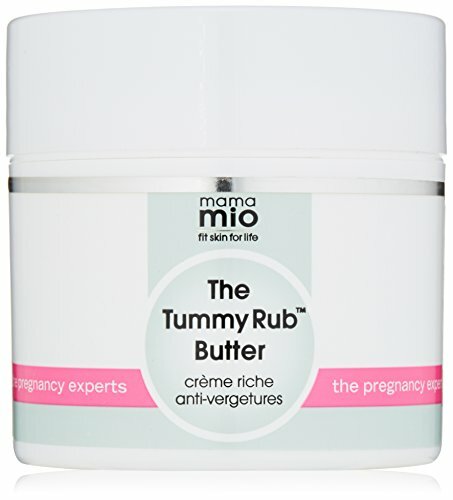 Check out Mama Mio Tummy Rub Butter here. If you are worried about stretch marks during or after your pregnancy, you can take the necessary precautions in order to avoid them by choosing using one of the best stretch mark creams for pregnancy. There are many options out there for you to try out and help keep your skin healthy, moisturized, as well as keeping those stretch marks at bay.